The no obligation phone consultation applies to both residential and business customers in the South London area. No spider job is too large or too small for us to look at. Where relevant we are able to advise on any urgent action required to protect your property or possessions prior to a visit. 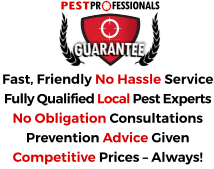 If a visit is expected we let you know if there will be a call out charge and advise on the likely costs of any moth treatment should it be necessary. Although spiders do a great deal of good through natural insect control, in particular predating on over-wintering queen wasps, there is no question that there is a general fear of them. In one or two instances you absolutely don’t want them around, and one of those is the case of the false widow spider. This spider is certainly ‘on the march’ in the UK and although most reports have the tendency to be from the Southern Counties, reports are popping up from other areas too, including Yorkshire, Lincolnshire and Norfolk. Although its bite is by no means as nasty as that of the black widow, they do give an unpleasant venomous bite with the pain said to be much like that of a wasp or bee sting. The bite of this spider and others of the genus Steatoda can also produce symptoms knows as Steatodism in which the victim exhibits an intense pain radiating from the bite, along with fever and general malaise. In other words, something to avoid if you can! The False Widow constructs a scaffold style web of enormous strength, normally incorporating a tubular hole into which is retreats. They have poor vision and depend on vibration to latch onto their prey. The false widow spider has a brown body and legs with a shiny appearance, and has distinct cream markings on its bulbous body. The creamy markings are often likened to a skull shape. Females (9.5-14mm) are slightly bigger than males (7-11mm), and their bites are a great deal worse!! Do not attempt to rid your property of false widow or other biting spiders– if in any doubt, call a professional. Treatment involves a combination of physical collection, web elimination and making use of professional strength insecticidal sprays with a strong residual. 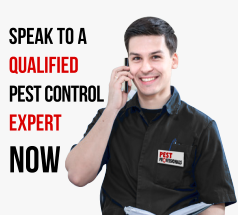 If you require sound advice or speedy solutions to problems with spiders anywhere in the South London area – contact us.